No tickets to the Super Bowl? Don’t want to watch it at home? 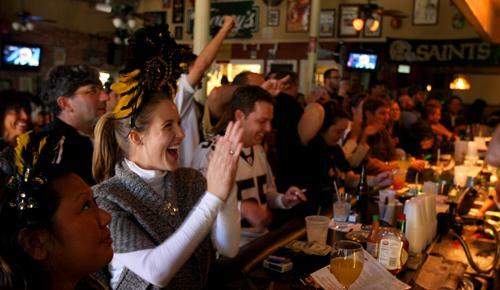 Check out these bars for a real New Orleans Super Bowl party. This Irish Channel hangout houses 20 TVs, so Tracey’s is sure to be partying on Super Bowl night! 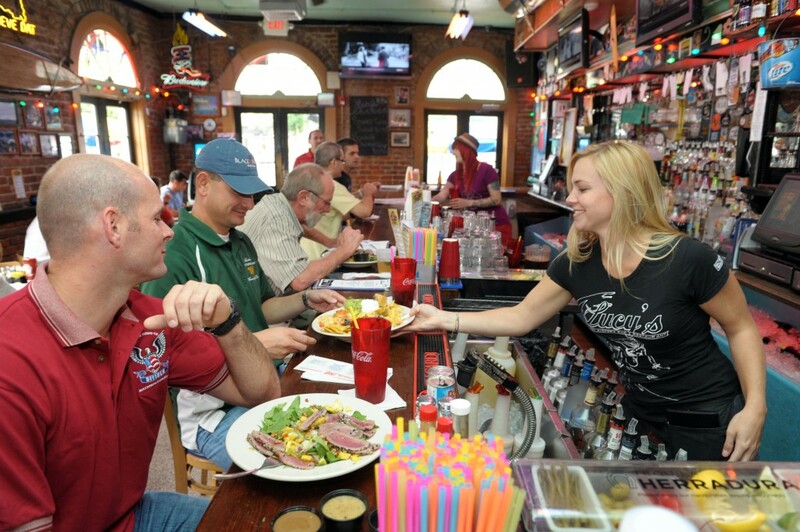 Don’t forget to come hungry – this spot is known for its fried oyster and roast beef po-boys. It even made our list of “Five Great Po-Boys” in the city. Tracey’s is located at 2604 Magazine Street and can be reached at 504.897.5413. 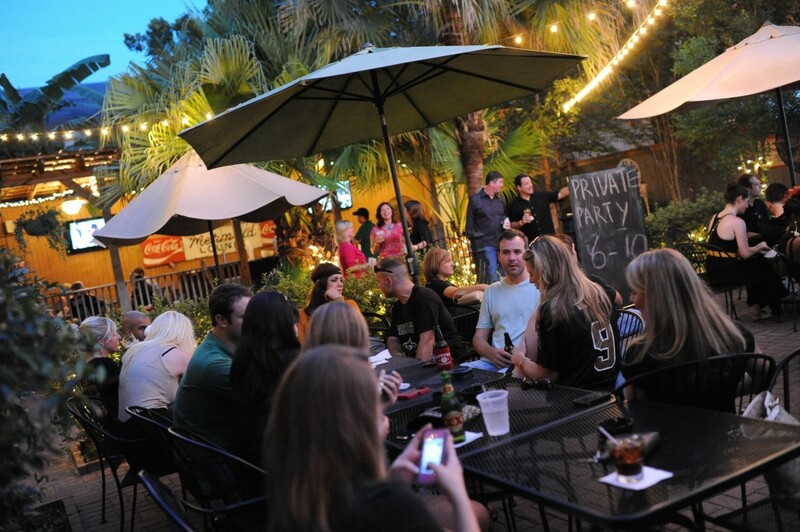 If you’re in more of a Mid City mood, check out Bayou Beer Garden. With it’s eight plasma TVs and outdoor patio, this is a great spot to enjoy the nice weather we’ve been experiencing! The kitchen is open late, so it’s also a great place to grab a snack after the game. Bayou Beer Garden is located at 326 N Jefferson Davis Pkwy and can be reached at 504.302.9357. Located by the river in Uptown New Orleans, Cooter Brown’s is known for both its raw oyster bar and floor to ceiling big screen. Locals tip: if you’re craving cheese fries, don’t hold back! The ones at Cooter Brown’s are some of the best in the city. Cooter Brown’s is located at 509 South Carrolton Avenue and can be reached at 504.866.9104. Lucy’s offers succulent “surfer’s cuisine” and drinks with fun names like “The Shark Attack.” Located in the Central Business District, it’s a great place to catch the game while staying relatively close to the action. Lucy’s is located at 701 Tchoupitoulas Street and can be reached at 504.523.8995. An authentic Irish pub tucked away in the heart of Mid City, Finn McCool’s has great pub food and an impressive beer list. If you need a break from the game, check out the giant Jenga set in the back! Finn’s is located at 3701 Banks Street and can be reached at 504.486.9080. Tucked away on the edge of the Warehouse District,The Rusty Nail can be a bit hard to find. But it’s definitely worth looking for! This local hangout has a great outdoor patio and lots of space for revelry! The Rusty Nail is located at 1100 Constance Street and can be reached at 504.525.5515. If you’re in the mood for a slightly different Super Bowl experience this year, check out Lost Love Lounge! This Marigny watering hole combines a big screen with Vietnamese food. So kick back and watch the game with a bowl of pho, ya’ll! Lost Love is located at 2529 Dauphine Street and can be reached at 504.949.2009.